El Paso Pest Control Pros is the top company for pest control in El Paso, Tx. We use the highest quality tools and equipment for pest inspection and pest management services. This is what makes us the best El Paso Exterminator. On this page you will see an overview of the various tools that we use to complete our pest control jobs. 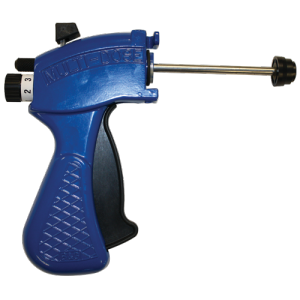 Bait Applicator Gun: The bait applicator gun is used to apply gel treatments for ants, carpenter ants, and roaches. This is a great piece of equipment to assist us in speeding up the process of applying gel onto a large property. Duster: The duster, in combination with the proper dust, is a great tool to apply pesticide and insecticide in the form of dust. Typically, dust treatments will continue to kill insects for 8 months. Dusters are used to treat cracks and crevices and exterminate ants, scorpions, silverfish, cockroaches, fleas, ticks, millipedes, bedbugs, and other common insects in El Paso, TX. Sprayer: The sprayer is a great pest control tool. It is one of the most common, as well. We use the pump sprayer as a way to spread insecticide and pesticide around your home or office. The sprayer is used by exterminators to apply their chemicals in large areas. 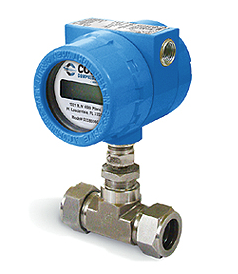 Flow Meter: A flow meter is a technical piece of equipment that is used by the most professional exterminators. Chemical flowmeters are also known as flow controller systems and are used to control and eliminate termites. Termite control is a difficult task, and the chemicals that are applied for termite treatments need to be applied in the perfect ratio and amount. We use the flow indicator and flow gauges to tell us that we are applying the proper amount of liquid termite control chemicals. Inspector Mirror: The inspector mirror is a common tool used by exterminators. We use a telescoping inspector mirror to do our pest inspections. When there is an area that we have trouble reaching or getting in to, the inspector mirror helps out greatly. IR Thermometer: The infrared temperature sensors on an IR thermometer is what helps us to find cool areas and points of entry for common insects. Together with the blower door, the IR thermometer gives us the ability to quickly identify problem areas without fail. Moisture Meter: The moisture meter is a great tool for exterminators. The El Paso Pest Control Pros use the moisture meter in order to find areas where pests like to hideout. Areas with moisture are common for points of entry and infestations. We can get an instant moisture readout in order to apply the right remediation technique. Moisture meters are great for identifying existing wood conditions. Termite Injector With Maximizer: Custom termite injectors equipped with maximizers is what makes El Paso Pest Control Pros the best termite exterminator in El Paso, TX. We can inject insecticides and pesticides for termite eradication in termite holes, mud holes, cracks, crevices, and other common points of entry for termites.